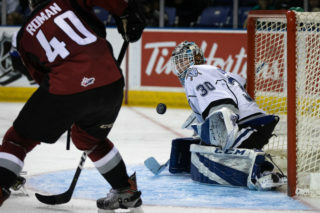 Victoria hosts BC Division rivals Vancouver on Saturday & Sunday. 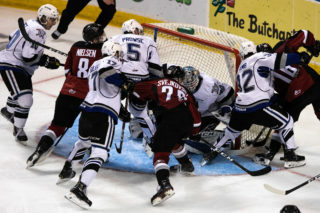 • Opponent on Saturday & Sunday – Vancouver Giants (6-1-0-0), second in the BC Division. • Puck drop – 7:05 p.m. on Saturday & 3:05 on Sunday. • Saturday, presented by Wawanesa Insurance, Tickets – bit.ly/2QG1EFO. • Sunday is Marty the Marmot’s 13th birthday, presented by Great Clips and a Post Game Skate with the Players. • Sunday Tickets – bit.ly/2yunzse. • NHL Affiliated Players – David Tendeck (Arizona Coyotes), Milos Roman (Calgary Flames) and Alex Kannok Leipert (Washington Capitals). • NHL Central Scouting Players to Watch List – Bowen Byram (projected first round), Trent Miner (projected fourth to seventh round). • Royals’ 2018-19 Ticket Packages, including Full Season, Half Season and Fan Packs are still on-sale. Sign up now to guarantee yourself the best seats, prices and benefits, plus receive a collectible Griffen Outhouse Bobblehead. 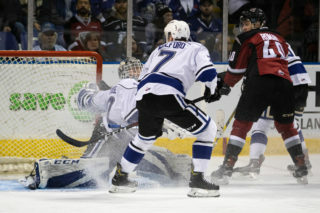 For more details call the Royals’ ticket office at 250-220-7889, send an email to tickets@victoriaroyals.com, or visit www.victoriaroyals.com. • Sunday – Celebrate Marty’s birthday with all his furry mascot friends including: Clippy (Great Clips), Santa Bear (CFAX Santa Anonymous), Turbo (Harbour Air), Harvey (Victoria HarbourCats), Grizz (Victoria Grizzlies), Striker (Victoria Highlanders), as well as special guests the Super Heroes if Victoria. o Donations to The Gord Downie & Chanie Wenjack Fund. o Skate Rentals available (limited quantity). o Skate is 45 minutes long. 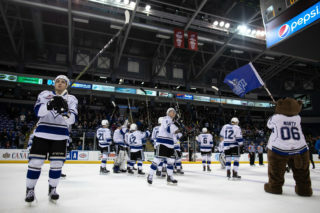 o Opportunity to meet the Royals’ players and receive autographs. o Participants 18 years of age and under must wear a helmet. 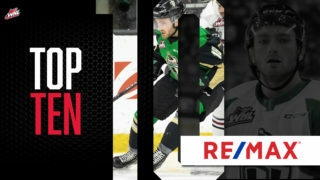 • Saturday: The first 2,500 fans will receive Wawanesa/WHL branded rally gear. o Great Clips will be providing free Royal Blue washout hair colouring at Gate 1.
o Join Marty for a free slice of birthday cake at Gate 1 after Sunday’s game (limited quantities available). o Wawanesa Drive to Win – A head-to-head Wawanesa branded remote control car race, where first place will win a $100 gift card to the Royals’ Team Store and second place will take home a $50 gift card to the Royals’ Team Store. 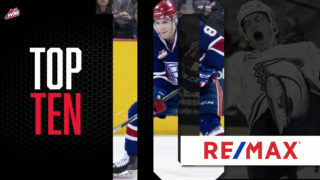 o Great Clips Hair Styling Contest – Contestants will style their teammates hair with the winner receiving free haircuts for year. The runners up will receive one free hair cut each.